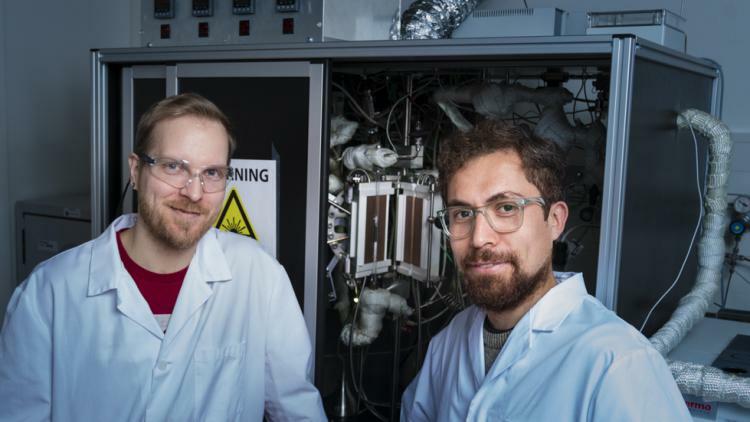 Pasi Paalanen and José Moya-Cancino have their research topic in Fischer-Tropsch synthesis. Fischer-Tropsch fuels are a possible alternative for crude oil. Both PhD candidates work under supervision of Bert Weckhuysen and have their workplace in the David de Wied building at Utrecht Science Park “de Uithof”. However, their work is not limited to the David de Wied building. Some of their experiments require specific expertise and unique set-ups, that can only be found in few facilities around the world. An example of such a facility is the European Synchrotron Radiation Facility (ESRF) in Grenoble, France. On a regular base, Paalanen and Moya-Cancino travel to one of these facilities to perform experiments. They get the change to work with worldwide experts, which is an intersting addition to their research. Read the full article on DUB (English).